Today on Food Without Borders, Sari is joined by Catherine Piccoli, James Boo, and Mos Gen the Poet. Catherine is the curator of MOFAD, the museum of food and drink. She speaks about the current exhibit, Chow: Making the Chinese American Restaurant which touches on themes of racism and anti-immigration sentiment that are so clearly reflected in contemporary American society. 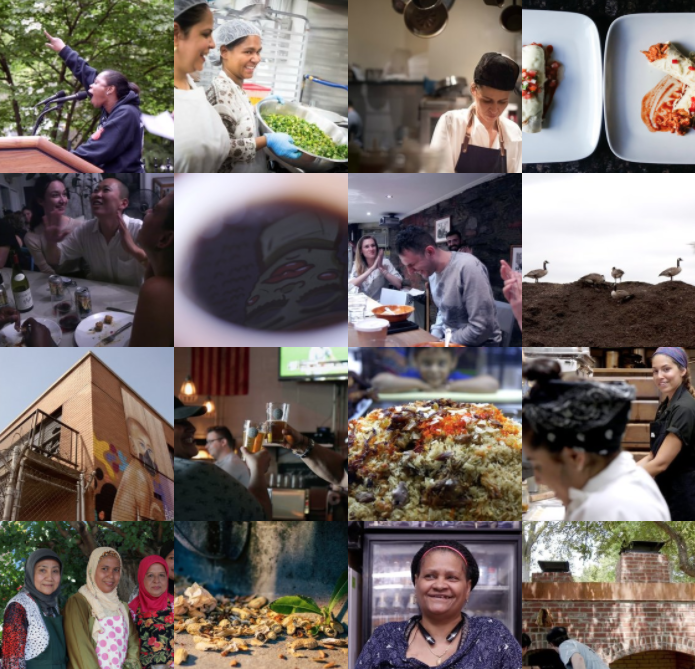 James Boo is the creator of one minute meal, an award-winning documentary series that uses food to reveal the communities, legacies, realities, and unseen forces that shape life in New York City. James talks about why he made a documentary series that focuses largely on immigrants and people of color instead of the typical chefs that represent the food world. The episode closes with a passionate performance by Mos Gen who delivers his poem Saturday Morning Cartoons.